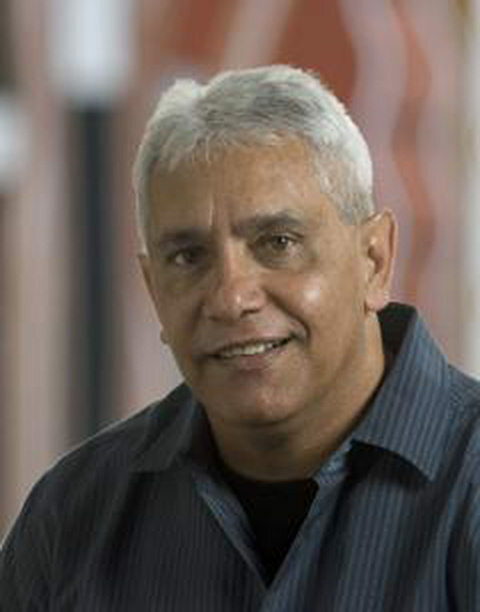 MPRA and its membership of Community Working Parties, CWPs, form the governance framework that provides strategic engagement and co-ordination from Australian and NSW Governments and service providers for the delivery of services and programs against priorities determined by Aboriginal people through a comprehensive planning process. After some years of activity, membership was extended to include 4 Young Leader representatives who change from time to time and representatives from the 3 zone Land Council representatives covered by the Murdi Paaki Regional Assembly area. are the tools that hand responsibility to us." Des Jones is a Murrawarri man born in Brewarrina NSW, living in Wentworth. Prior to his appointment as Chairperson of the Murdi Paaki Regional Assembly, Des was Chairperson of the Murdi Paaki Regional Housing Corporation – a position he has held for 20 years and still holds. For more than 35 years Des has had a strong interest in social justice, economic development, revival of Aboriginal culture, language maintenance and sites protection, and is passionate about improving health outcomes for Aboriginal people. He has had a long association with Maari Ma Health Aboriginal Corporation and joined the Board in 1996 making him the longest serving Board member. He was Chairperson of the Board for many years and is currently the Deputy Chairperson. Des’ commitment to the Murdi Paaki region and its communities is unwavering and he strives to see all individuals and families benefiting from improved services and programs, communities empowering themselves to solve social justice issues, and for the Assembly to have strong working relationships with all government agencies and all Aboriginal communities.